Bentley Bay South Beach Condos for Sale in Miami Beach. South Beach Condos overlooking Biscayne Bay presented by Miami Condo Realty. Unit Sizes: 830 to 5103 sq. ft. 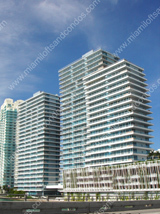 Magnificent landmark waterfront location creating the Gateway to South Beach from Downtown Miami. Spectacular 180 degree views of Miami’s Skyline and the Atlantic Ocean. Landscaped deck on level 5 with infinity edge swimming pool and 2 large whirlpool Jacuzzi’s. Floor-to-ceilings reinforced sliding glass exterior doors with tempered, energy-efficient tinted blue glass designed to meet and surpass South Florida’s rigid building standards.